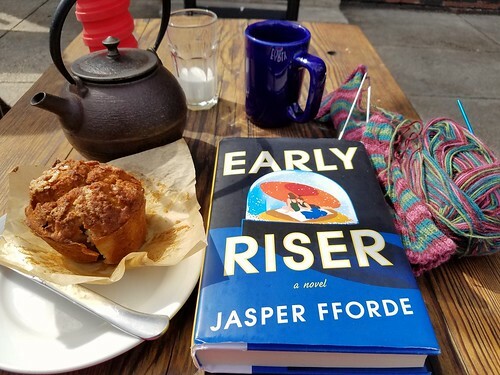 On my way back from my book club, I stopped by a cafe to spend some time in the sun today. 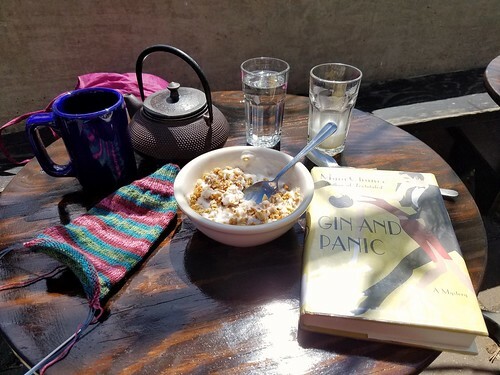 It felt glorious to be able to strip off my sweatshirt and sit outside comfortably. A pot of tea and a strawberry muffin didn’t hurt things, either. 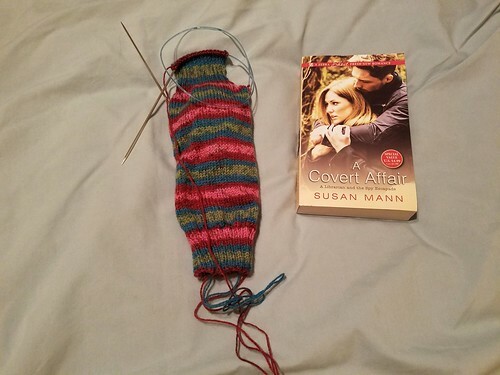 I’m ready to start the second sock of that stripey pair. 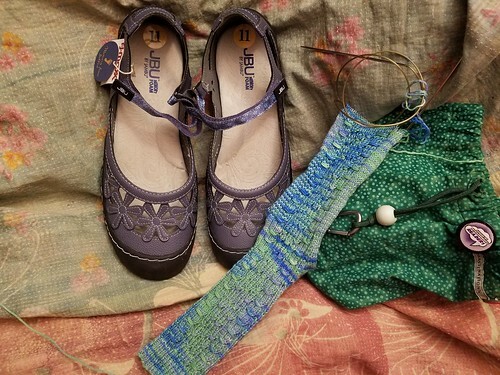 I made them extra long in the leg, but I’m about to hit baseball season, so mindless stockinette isn’t a problem. 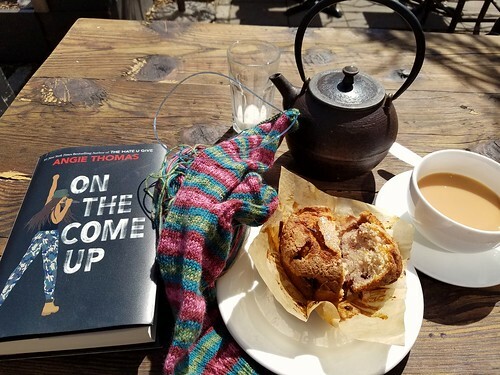 I began On the Come Up by Angie Thomas. So far I’ve learned what a snapback is, which are baseball caps that have those very flat rims and leave the sticker on the brim and have rather perpendicular tops. I knew they were a thing; I just failed to realize they had a name. I don’t know why; I mean, everything has a name. So, a new thing. I also started Ladee Hubbard’s The Talented Ribkins on audiobook. It’s about an otherwise ordinary family, where everyone has a superpower, like the ability to make maps of places they’ve never seen or to scale walls without aid of ropes. There’s hints of how these talents may have been useful in the Civil Rights movement, but the main character spent many years using his talent for a mobster, who now thinks he’s owed money. All the other books are still on the go. Finishing things seems to be a problem these days — one I obviously need to address as due dates approach! 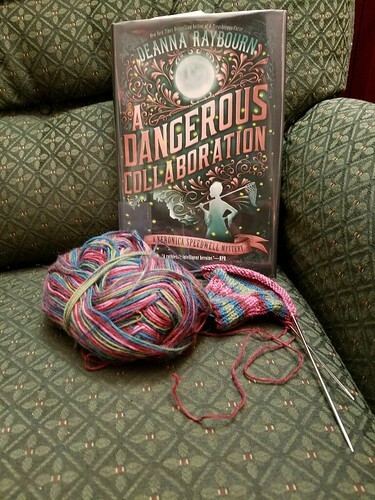 Head over to As Kat Knits to see what other folks are reading and knitting.